By the standards of his tribe Darling was an extremely enlightened man. While serving in the Punjab he had been a sensitive administrator, sympathetic to Indian aspirations. But the horrors of Partition made him re-think his ideas. Now, with the murder of Gandhi, he was even contemplating the British returning to take charge of what seemed to be a forever unruly sub-continent. Darling's fears were widely shared. Other Western observers thought that India would go back to the pattern of the 18th century, when its territory was carved up between dozens of small and large chiefdoms. At any rate, they expected the bloodletting between Hindus and Muslims to further intensify, now that the pre-eminent peace-maker was no more. But none of this happened. One immediate consequence of Gandhi's martyrdom was the patching up of a potentially disastrous rift between his two main lieutenants, Jawaharlal Nehru and Vallabhbhai Patel. Nehru served as prime minister (and concurrently as foreign minister) in the government of newly-independent India; Patel as deputy prime minister (and concurrently as home minister and minister for the Princely States). In the weeks before Gandhi's death, Nehru and Patel had a series of sharp disagreements. Both were contemplating resigning; neither was prepared to work with the other. Gandhi had a long conversation with Patel before his prayer meeting on the 30th; and he was due to meet with Nehru after the prayers were over. Gandhi's assassination made the two sink their differences. 'With Bapu's death,' wrote Nehru to Patel, 'everything is changed and we have to face a different and more difficult world. The old controversies have ceased to have much significance and it seems to me that the urgent need of the hour is for all of us to function as closely and co-operatively as possible... .' Patel, in reply, said he 'fully and heartily reciprocate[d] the sentiments you have so feelingly expressed... Recent events had made me very unhappy and I had written to Bapu ... appealing to him to relieve me, but his death changes everything and the crisis that has overtaken us must awaken in us a fresh realisation of how much we have achieved together and the need for further joint efforts in our grief-stricken country's interests'. Meanwhile, both Patel and Nehru went on All India Radio to calm tempers. 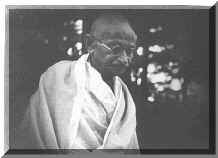 Patel appealed to the people not to think of revenge, but 'to carry the message of love and non-violence enunciated by Mahatmaji. ...We did not follow him when he was alive; let us at least follow his steps now he is dead'. Indians, said Nehru in his broadcast, had now 'to hold together and fight that terrible poison of communalism that has killed the greatest man of our age'. Remarkably, the message was heeded. Far from leading to further rioting and bloodshed, Gandhi's murder led to a cessation of the violence. Hindus were horror-struck that one of their own had killed the greatest living Hindu. The attacks on Muslims ceased, the desire to match Pakistan in its savage treatment of its own minorities was tamed. It would be a decade and more before India next witnessed a serious Hindu-Muslim riot. This diminution of communal passions allowed Nehru, Patel and their colleagues to focus on giving the country a democratic Constitution, bring the princely states on board, and lay the foundations of independent foreign and economic policies. None of this would have been possible if Nehru and Patel had gone their separate ways, or if the intensity of Hindu-Muslim violence had continued unabated. By bringing together two previously squabbling individuals, as well as two previously quarrelling communities, Gandhi's martyrdom assured the unity of India. Thirty-nine years later, almost to the day, Gandhi's prediction was fulfilled. In 1946 and 1947, his enemies had been assiduously working to polarise Hindus and Muslims. They carried on through the first weeks of January 1948, till he stepped in, first through a five-day fast that brought communal peace to Delhi, and then by sacrificing his life to bring communal peace to the country as a whole.